1. What Huge Sales at Sundance Say About The State of Indie Film. If you’ve been paying attention to any of the reports coming out of Sundance, you’ve probably heard that Kenneth Lonergan’s “Manchester by the Sea” and Nate Parker’s “Birth of a Nation” were bought for high prices, with the latter being sold for $17.5 million, the most a studio has ever paid for a festival film. For The Globe and Mail, veteran writer and critic Noel Murray writes about what these sales say about the state of indie film. Both “The Birth of a Nation” and “Manchester by the Sea” are excellent films. But even if they were mediocre, what they cost and who paid the bill would still say a lot about the state of a movie business in transition. 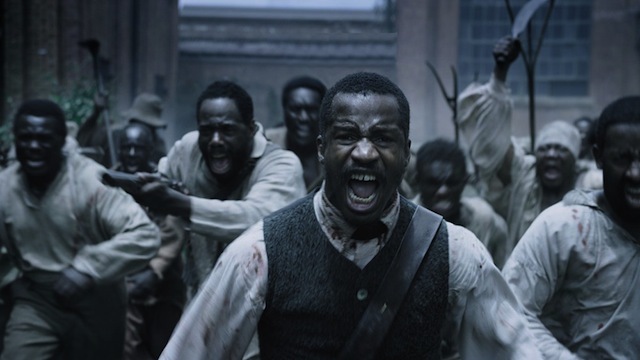 The enormousness of the “Birth of a Nation” sale should be encouraging, and not just because writer-director-star Nate Parker deserved to be rewarded for so superbly realizing a dream project. Fox’s investment in the violent, tragic story of an 1830s slave revolt may also mean that Hollywood’s learned something from the recent diversity controversies, coupled with the box-office success of films such as “Straight Outta Compton” and “Creed.” Simply put: Black movies matter. It’s harder to grasp the meaning of Amazon buying “Manchester,” because no one’s ever seen anything like it. For its investment, the online retailer gets exclusive streaming rights for its Prime service, and a say in when and how the movie is distributed theatrically. Whether that money will be well spent remains a tricky question. “Manchester by the Sea” is a magnificent motion picture, featuring a career-best performance by Casey Affleck as a moody working-class Bostonian who moves back to his hometown to handle his brother’s estate. But while the film has moments of humor and a strong emotional payoff, it’s also long and meandering. In today’s superhero-saturated market, “Manchester” will have to catch a lot of breaks to earn $10-million at the multiplex. Maybe Amazon believes the movie’s worth $10-million in new subscribers, though. Or maybe the company’s just extending its brand, thinking “Manchester” will fit well alongside its award-winning original TV series “Transparent.” If so, that would fit the pattern of Amazon and its chief competitor Netflix’s Sundance buys this year. The two streaming giants were by far the biggest players in the market, with their preferences tending toward the arty. 2. Why Modern Movie Posters Are Dreadful. The best movie posters capture something essential about the movie itself, and function as a work of art in it of itself. But the worst movie posters are bland advertisements and inspire nothing but indifference. The Guardian’s Benjamin Lee explores why modern movie posters are so dreadful. 3. 100 Times a White Actor Played a Character of Color. It’s almost inherently redundant at this point to say that Hollywood has a diversity problem because of systemic prejudice and inequality, but we’ll say it yet again: Hollywood has a diversity problem because of systemic prejudice and inequality. This manifests itself in a host of ways, but sometimes most obviously when a white actor plays a character of color. The Washington Post’s Meredith Simons tallies 100 times this has happened in light of next month’s release of “God’s of Egypt,” a film that has been taking it in the shins for its non-diverse casting. “Touch of Evil,” 1958: Charlton Heston played a Mexican character in degrees of brownface that varied noticeably throughout the movie. “Imitation of Life,” 1959: Susan Kohner, a mixed-race actress, won two Golden Globes for her portrayal of Sarah Jane, a mixed-race young woman. So far, so good! But Kohner’s mother was Mexican and her father was Czech; Sarah Jane was supposedly half-black and passing as white. “West Side Story,” 1961: Natalie Wood played the Puerto Rican Maria. “Breakfast at Tiffany’s,” 1961: If you can think of an offensive stereotype related to Japanese people, Mickey Rooney probably employed it in his portrayal of Mr. Yunioshi. Yellowface? Check. Buckteeth? Got that too. Outrageous accent? Yup. Rooney defended the part for years, but ultimately made a sort-of apology. It’s not quite a year yet. I’m not ready for it to be a whole year yet, because while “time heals all” is a filthy lie, distance fades the details. I don’t want to forget the smell of his aftershave, or the Tony Hillerman novels on his bookshelves. Or the fact that “Star Wars” was one of his favorite movies. I had stopped trusting “Star Wars” after the prequels, but the trailers for “The Force Awakens” slowly reeled me back in. And no, “The Force Awakens” was not at all I was expecting. I didn’t anticipate that it would be so much about what happens when we are left behind. and how we make sense of the wreckage, and make it through. I could feel my heart breaking at Carrie Fisher and Harrison Ford still being able to find that chemistry of two people who drive each other crazy but can’t stay away from each other. I ached at how good the new faces were, and at realizing how my dad I would have talked about Daisy Ridley, John Boyega, and Oscar Isaacs for hours afterward. In the final scene Daisy Ridley’s Rey flies over a beautiful, desolate stretch of islands I recognized instantly. The location they used for the ruins of an ancient Jedi temple was Ireland’s Skelling Islands — in particular, Skellig Michael, which has the remains of a medieval monastery. I had seen photos of it in a book of sacred Irish places my father had. He was Irish American to the core. My sister and I kept trying to take him to the ancestral homeland at least once. He never made it. At the end of the film, Rey lands and begins to make her way up the endless row of steps. I thought I could feel the salt spray of the sea on my face, but I realized I was crying, hard. I thought about how damn stubborn my father could be. And how incredibly generous. And how much he would have loved this movie. Rey makes it to the top where a long missing character is watching the waves beat against the rocks. The film’s closing image is of Rey holding out his lightsaber to Luke. The look on Ridley’s face shatters me. The look on Mark Hamill’s face shatters me again. The pleading in her eyes. The hope, the need that this man who is, if not her father, then a fatherly figure, will come back to the Jedi, to her. And Luke’s look of sorrow because…he can’t? He won’t? I start to laugh under my tears as I realize this damned director is going to cut to black before I get an answer to that question. And as the camera begins to pull back I’m grinning like a madwoman. Because I realize my father has been watching this movie with me. 5. How Cosplaying as Betty Draper Saved One Writer’s Self-Esteem. Many fans of any film or TV show often “cosplay,” or dress up as one of their favorite characters from said text. You see this most frequently at fan conventions and the like, but plenty of people cosplay everyday to show their love and affection for the source material. At Elle, Kendra Pettis examines how cosplaying as Betty Draper from “Mad Men” saved her self-esteem. I didn’t start cosplaying to honor the end of Joss Whedon’s “Firefly,” or to show the world how much I loved Gail Simone’s writing for “Birds of Prey,” or because I thought that the world needed one more nerd who owned a 1960s “Star Trek” uniform dress. I started cosplaying because I thought I looked horrible from middle school through the beginning of my sophomore year of college, and even today have trouble looking back at pictures from that era. I started cosplaying because I considered myself wildly unattractive and had no sense of personal style or idea of where to begin developing one. Basing my wardrobe on a fictional character’s seemed like the easiest way to make a hard left to correct years of unflattering jeans, unnecessary relaxers, and too many pairs of combat boots to count. Somehow I looked past “Star Trek,” past the pile of comics delivered weekly to my campus mailbox, past my other odd obsessions like the growing stack of Jesse James biographies strewn about my dorm room. The year was 2007, I was 19, and the fictional character I chose to cosplay as was Betty Draper. Yes, AMC’s “Mad Men” is my cosplay origin story and costume designer Janie Bryant was my Edna Mode. There was no rhyme or reason for this choice other than the fact that I enjoyed “Mad Men.” This was early on in season 1, and Betty’s stoney, ice-queen of a character wasn’t winning me over personality-wise just yet. The only interest in vintage clothing I’d expressed to that point was a collection of eight American Girl Dolls and a foot-stomping insistence on being Josephine Baker for Halloween in the 5th grade. Betty was white, cold -looking, blonde, and blue eyed. I was Black, awkward, red-headed and wild haired while I grew out the effects of a consistent 15 year relaxer and recent dye job, and an all around mess. In both style and appearance, Betty and I had a very “she’s cheer captain and I’m on the bleachers” dynamic. We were polar opposites, but, in a media landscape lacking diverse representation, I chose the woman who matched the ideal of western beauty standards and ran with it. 6. My World of Flops: Richard Marquand’s Bob Dylan Vehicle “Hearts of Fire.” In 1987, director Richard Marquand (“Return of the Jedi,” “Eye of the Needle”) teemed up with successful screenwriter Joe Eszterhas (“Flashdance,” “Basic Instinct,” “Showgirls”) to make a Bob Dylan vehicle called “Hearts of Fire.” The film was a critical and commercial failure, not even being released in American theaters after being from UK theaters in just two weeks. For his My World of Flops column, Nathan Rabin examines “Hearts of Fire” and what exactly makes it a failure. Though posited as Bob Dylan’s “Purple Rain,” the film is actually an elaborate bait and switch. Dylan may be the marquee name, but the real focus of the film is on a big-haired, throaty-voiced 1980s never-was named Fiona who does most of the singing in the movie. It’s a testament to how badly the filmmakers misjudge their strengths and weaknesses that future “My Best Friend’s Wedding” star Rupert Everett, who I had no idea even sang, has as many songs on the soundtrack (three) as Dylan, an artist whose music has something of a following. Fiona has four songs on the soundtrack, but that doesn’t convey the extent to which the film focuses on having Fiona singing onscreen at the expense of letting the old guy with the iconic Jewfro warble a few tunes. Fiona doing most of the singing in “Hearts Of Fire” is a little like making a version of “Purple Rain” that showcases the talents of Wendy & Lisa and maybe lets Prince sing a song or two as long as he doesn’t mind lurking sullenly in the background while his bandmates hog the spotlight. In the performance that launched her to anonymity, Fiona stars as Molly, a plucky 18-year-old in the small town of Dunston, Pennsylania, who works in a tollbooth where most of her job consists of resisting the leering advances of creeps in cars. At night, she pursues her dreams of rock stardom in a modest combo her bandmates abandon when they get a much sweeter gig as the house band at a local Holiday Inn. Molly’s life is going nowhere and is taking its sweet time getting there. Her only joy in life is listening to rock ‘n’ roll music on a giant tape recorder — until one day she meets reclusive rock legend Billy Parker (Dylan) at a bar. Her sad little life goes from black and white to Technicolor when Parker offers to take her with him on an oldie’s tour of Great Britain. “Hearts Of Fire” depicts Parker as a burnt-out, deeply cynical, and scarred survivor who has turned his back on stardom and receded into the life of a semi-recluse, which in this film puzzlingly involves traveling around the world to perform regularly as both a solo artist and Molly’s guitarist, and showing up at press conferences to support Molly. To convey Parker’s disgust at the machinery and phoniness of the rock world, the film has him hurl a television out of a hotel window in disgust after watching the press conference. If there’s a starker contrast in evening viewing options between Nate Parker’s BIRTH OF A NATION & #GOPDebate, I’d love to know what it is.